Have you ever asked yourself that bold and daunting question of Chichen Itza or Tulum? If you’ve ever traveled to the Riviera Maya or have plans to do so then you probably have. It’s a good question with a very nuanced answer. You see, there are a lot of factors to take into consideration when deciding which Mayan ruins to visit. We’ll try and make it easier for you. There are several important factors in this epic showdown between these two ancient wonders. Depending on where you intend to spend your vacations in the Mexican Caribbean, distance and how to get to both Chichen Itza and Tulum can be a factor. Although to be fair, this is less of an issue for Tulum than it is for Chichen Itza. Here’s a breakdown by destination. Getting to Chichen Itza from Cancun takes almost as long as the tour itself, something to consider when planning your great Mayan adventure to explore that New Seven Wonder of the World and UNESCO World Heritage site. You can either rent a car, go by bus, take a guided tour which includes transportation or fly out of Cancun International Airport on an approximately 45-minute flight over the Yucatan jungle. Of course, travel times vary accordingly. Expect to take about 2.5 hours by car (taking the toll road), 3 to 3.5 hours by public transportation (an ADO bus) or on a guided tour. And remember, you’ll need to tack that time on to the return leg of your journey as well. Getting to Tulum from Cancun is a bit quicker and easier. Whether by car or public transportation, expect to take about two hours to reach the archaeological site of Tulum (the city itself is about ten minutes further south). If you’re interested in a scenic flight over the Caribbean Sea, including flying over Cancun, Playa del Carmen, Xcaret and Xel-Ha as well as a guided tour of the Tulum ruins, send us a message via our contact page. As can be expected, getting to any Mayan ruins from Cozumel (except the San Gervasio ruins located on the island) is a bit more of a challenge. However, for Cozumel excursions to the mainland, it’s just a matter of adding an addition 45 minutes one-way if you plan to cross over to Playa del Carmen by ferry. There are three different ferry companies, all leaving at the top of each hour. We recommend you travel with Ultramar. Check their website for ferry schedules to/from Cozumel, as there are a few variations in their departure times. Also, keep in mind that Fly Cozumel offers both charters flights to most destinations in the Yucatan Peninsula as well as Cozumel excursions to both Tulum and Chichen Itza as well as Ek Balam and Coba on our Ultimate 4-in-1 Mayan adventure tour. Moreover, our Chichen Itza excursion by plane from Cozumel gets you to the Mayan ruins in just 45 minutes! Getting to Chichen Itza from Playa del Carmen is basically the same if not a tad bit longer than from Cancun. In other words, you’re going to need to plan a total of around 6 to 7 hours just for travel time. However, our sister company, Fly Playa, which is based out of the small Playa del Carmen airport, also offers Chichen Itza flights that include guided tours of the Mayan ruins. The best part, on top of the spectacular views, is that you’ll only need about 40 minutes to get there. As for Tulum from Playa del Carmen, it doesn’t get much easier. 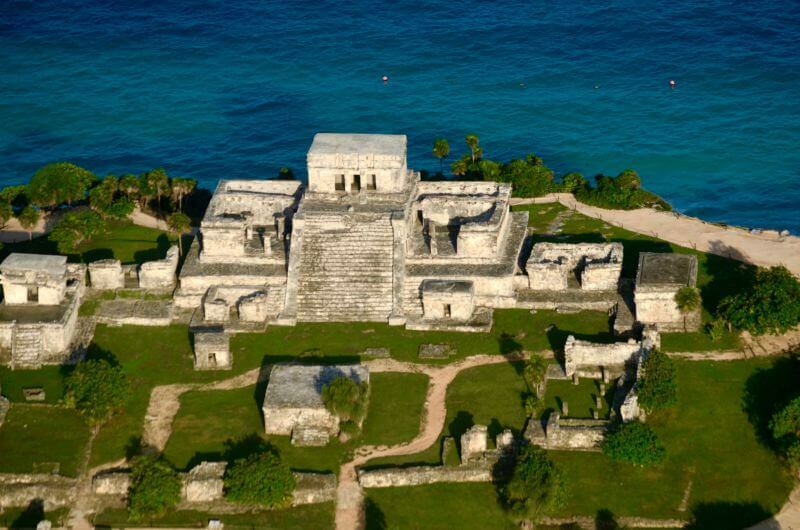 It will only take you about 50 minutes to reach the archaeological site of Tulum by car or bus. This is another important aspect to take into account when considering whether to visit Tulum or Chichen Itza. For both, the travel time mentioned above should be factored into any consideration, especially if you’re traveling with kids. However, there are several important differences between the Mayan ruins tours that deserve a thought or two. 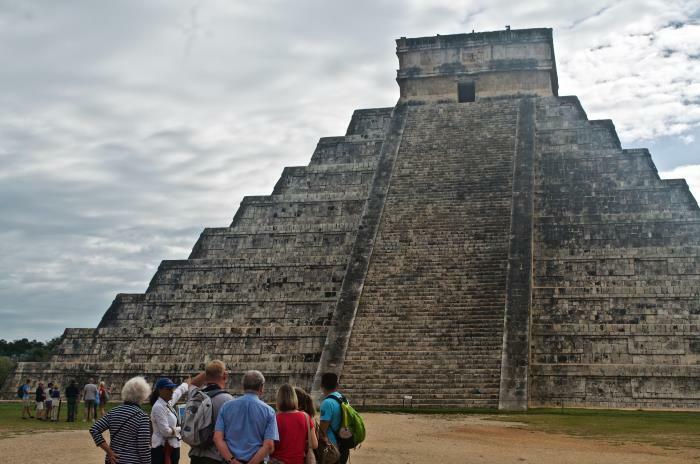 What makes Chichen Itza tours stand out from the Tulum tours? Quality definitely isn’t a factor, as both archaeological sites are well kept, have informative signage throughout, and are both beautiful and fascinating. 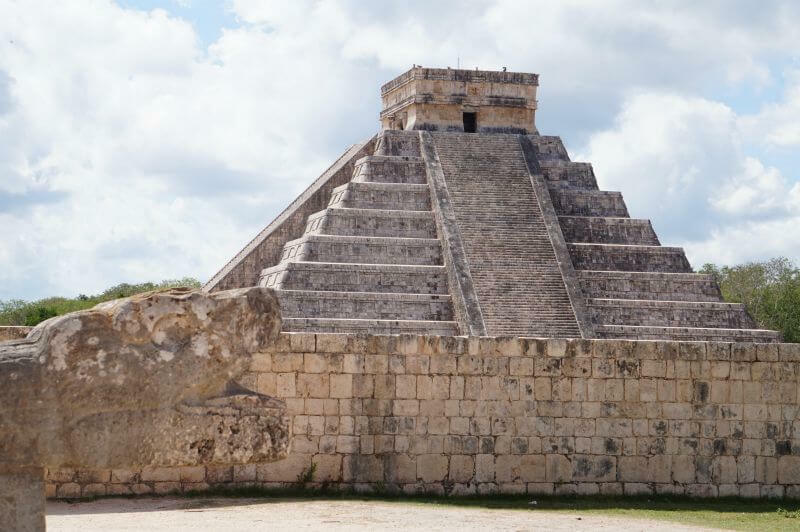 I believe what makes Chichen Itza tours stand out is the fact that the Chichen Itza history is more storied and impressive than the distant coastal city overlooking the Caribbean Sea that is Tulum. After all, Chichen Itza was once one of the most important city-states in the entire Mayan Empire. As you walk around the expansive grounds and take in the many different buildings and structures, you gain a much better appreciation of the fascinating cosmovision and achievements of the ancient Maya. Most Chichen Itza tours also include a visit to the great Ik Kil cenote. While it is often too crowded for my taste, it is one of the more fascinating cenotes in the Yucatan Peninsula. Set deep below the earth’s surface, this amazing cenote has high towering walls that lead up to the surface like a bottleneck with a large, circular hole in the middle. The tour itself takes about 1.5 hours to walk around and explore Chichen Itza itself. There are a lot of vendors on the grounds, so be prepared. Remember, however, before you let yourself be bothered, that they are the descendants of those who built the great ruins and are just there to make a fair and honest living. 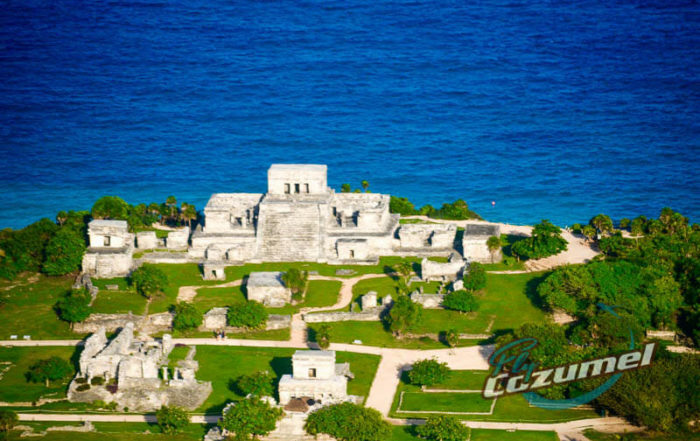 Tulum tours are more relaxed and easy-going. For the most part, this is because they are not nearly as spread out nor are there as many buildings. Whereas a Chichen Itza tour takes about 1.5 hours, you can do a guided tour of Tulum in about 45 minutes. Yes, as mentioned above, you’ll take in a little less history than at the Chichen Itza ruins, but the Tulum ruins are extremely beautiful and fascinating. Plus, they offer a fantastic view of the Caribbean Sea. Moreover, after your 45-minute walkthrough you normally are given an additional 3o to 45 minutes to explore on your own. That’s enough time to take the stairs that wind down the cliff of the ruins to spend a little time on a beautiful stretch of beach. Don’t you hate that we made you wait until the very end? Well, that’s not exactly true but we did save some of the most important details for last. To be precise: what is there to see at Chichen Itza and Tulum? If I were to just say Mayan ruins that, of course, would be stating the obvious. Instead, I’ll list three things you won’t want to miss at both Chichen Itza and Tulum. With so much to see and do at Chichen Itza, you’re unlikely to be able to see everything. Plus, combine the heat with the walking and you probably won’t want to either. Here’s the top three things you won’t want to miss at Chichen Itza. This one kind of goes without saying and you won’t be able to miss it anyway. Nevertheless, Kukulcan, also known as El Castillo, is not just an amazing Mayan pyramid to look at but also to learn about. The pyramid has 365 steps. Know what else has 365 in it? Each spring solstice, the shadow of a feathered serpent can be seen slithering down from the top of the pyramid and disappearing into the snakehead located at the base of the pyramid. Kukulcan was built over a cenote and is actually comprised of several pyramids in one, kind of like those Russian Matryoshka dolls. A red jaded jaguar sits atop one of the uppermost altars. You can stand in front of the Kukulcan pyramid and make one loud clapping noise? Know what happens? You’ll have to find out for yourself. While you may not appreciate this one by just stepping inside what seems mostly like an open space, this is actually one of the most spectacular feats of Chichen Itza. Throughout Mesoamerica, the indigenous peoples practiced a ball game known as Pok Ta Pok. The largest of all such ball courts, which measures the length of almost two American football fields, can be found at Chichen Itza. What’s even more impressive, however, is the great acoustic feat which still baffles scientists and technicians until today: the ruling elite who witnessed these sacrificial matches could sit at opposite ends of the ball court, whisper to one another, and still be heard all the way at the other end. There is much still unknown about the ancient Maya, their beliefs, practices, and the causes for their sudden abandonment of their once great cities. However, many scientists and anthropologists believe that water or a lack thereof was at the root of their mysterious demise. Thanks to modern studies, we are learning increasingly more about the role cenotes played to the ancient Maya. Much more than simply a source of water, which of course is vital to the survival of any civilization, the cenotes serves as an important connecting piece in their three-dimensional cosmovision which was comprised of the Netherworld (Xilbalba), the earth itself, and the cosmos. In other words, the cenotes not only provided drinking water but served as a portal between our realm and the one below. The Sacred Cenote at Chichen Itza was a major site for sacrifices and offerings to the gods, making it a true treasure trove of information for students of Mayan history. Originally known as Zamá, meaning Place of the Dawning Sun in Yucatec Maya, the Mayan ruins of Tulum are impressive for other reasons. One of the few walled cities built by the ancient Maya, the great builders of this fascinating ceremonial site created a hallowed place of learning, observation, and guidance to seafaring strangers from north and south. Set upon a cliff, today Tulum serves as a stunning tribute to the wisdom of those who thousands of years ago developed such precise mathematical calculations that they even had a more accurate calendar than ours. Here are a few of the things to pay attention to when visiting Tulum. Like its counterpart in Chichen Itza, El Castillo is the most iconic and famous of all the Tulum buildings. Also known as the Lighthouse because it served as a sort of beacon and watchtower for incoming canoes who had to navigate around the reef, El Castillo is also the tallest building of Tulum. Standing at a proud 25 feet, El Castillo looks even more imposing when seen on top of the bluff when approaching from the Caribbean Sea. Sitting directly in front of El Castillo is the famous Temple of the Frescoes. Though now mostly worn away by Father Time, the construction, as its name suggests, contained several impressive frescoes. Although visitors can no longer enter the building, from the outside you can still observe some of these elaborate decorations on the façade. This particular celestial figure, which of course is depicted descending facedown, can be found at a few other sites throughout the Yucatan Peninsula and is also carved into several structures at Tulum. According to historians, this deity was associated with two essential elements of ancient Mayan culture: bees and war. The building, perfectly aligned with Venus and constructed upon another temple which served as its base, has a figure of the descending or diving god carved into the stone above the intentionally non-linear entryway. So which should you visit? History and culture buffs will find Chichen Itza to be a much more satisfying experience. Those who would like to witness the ancient Mayan ruins but aren’t so interested in guided tours or spending too much time walking around archaeological sites will find Tulum the better option. Either way, whether you choose Chichen Itza or Tulum, you’ll have the opportunity to experience a truly fascinating aspect of this beautiful region. On your next Cozumel vacation or trip to the Riviera Maya, make sure you take the time to do just that.